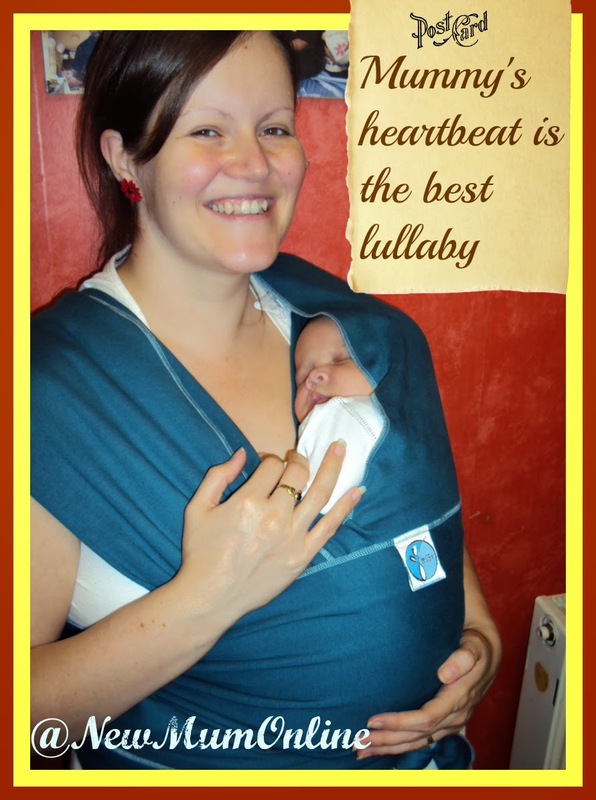 New Mum Online: Do You Hear Me Little One? Psychology of Sound. Information for New Mums. Do You Hear Me Little One? Psychology of Sound. Information for New Mums. When Aaron was *in womb* what he could hear was of paramount importance to me. Daddy and I used to talk to my bump very often. I used to teach yoga every Friday night, after working a full 8-5 Monday to Friday job. I loved the fact he could hear the mantras, and yoga music, but what I actually talked more about at the time is what happened after yoga each week. Daddy didn't like to think of me getting on public transport, with my work bag and yoga bag, pregnant, so he used to pull up outside in his car. More often than not we went for something to eat and then home. He would always have music playing in the car. I had a very "conscious pregnancy" which is why my other blog is called Conscious Mum, and I always felt tuned into Aaron, which is how I knew he likes dogs (despite me being afraid of them) before he was born. Anyway, I'd always stroke my bump, in the car after yoga, and say "Aaron, it's Daddy disco!". We'd named him the same day as my 20 week scan, when we'd found out s/he was a boy (till that point he'd been called Lottie - short for Charlotte). it's also a survival instinct for the baby to be comforted when they hear sounds they associate with their mother. When Aaron was subjected to mantras, in my tummy, whilst I taught yoga, I used to refer to it as a "sound bath". I could feel that it reassured him. The beauty of it was that I taught yoga until I was 38 weeks' pregnant, so he pretty much benefited from it throughout. He also benefited from the love of my students who clustered round me, like clucking hens, at the end of every class. Fast-forward post-birth, when Aaron was only 6 weeks old, I took him into work to meet all of my colleagues. He was surrounded in people, but so at home because I had done long hours whilst pregnant and it was like he knew the place. Clearly he recognised the work sounds and voices. Also, he always used me as a barometer, i.e. he was happy to go places that I was happy to go to, so he sensed this was a good thing, his being at work with me. Very proud mummy moment - SO glad that I videoed it. 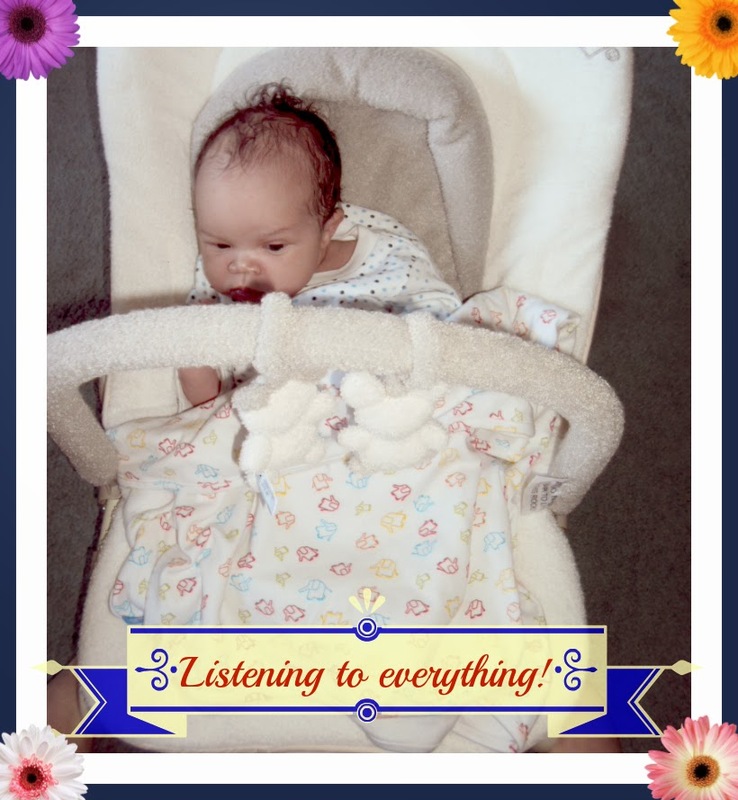 amplifon have put together this guide: Psychology of Sound: How babies develop hearing and understanding - it's a really good read and covers pre and post-birth. The foetus can also hear the mother's speech, and will start tuning in to the voice, language and intonation - a feat that will have an impressive bonding effect between mother and baby once the child is born. Studies have shown that foetuses feel more relaxed when they are read the same book over and over again, indicating that memory is already relatively well-developed. Again, it's the tone rather than the content that counts - and your baby will have the same comforting association with the book of your choice even after birth! Do make sure you change it up occasionally though, to keep them engaged and give them plenty of new learning experiences while in utero. I was very interested to see that the guide says "avoid placing headphones on your bump" as I did have a gadget that played music to my bump, that I got at the baby show, and I couldn't bring it back to get a refund quick enough - Mums know best - listen to your GUT ladies! I love how the guide ends. I can really relate as Aaron, even now that he understands words fully, is still sensitive to my tone. When he's been naughty he says "don't be angry at me" or when he's shy he says "don't be happy at me" for example if he doesn't want me to proudly watch him dancing. He gets quite bashful if he's doing something really good, and we don't know where he got that from as he is not at all shy. Equally, your own tone of voice will communicate a lot to them before they can even begin to understand what you're saying - so you can rest assured that your baby is wired to understand you when you comfort and play with them! Writing this has actually reminded me of THAT feminism debate we had at Mumsnet Blogfest.... I KNOW there were people there, who want to believe that Mums and Dads can parent equally 50:50 and I KNOW there are many examples where it probably works to great effect, but, I know and believe that when a baby wants its Mum (some of the reasons being above) it is only Mum that will do. Now that Aaron is older, his ties to his womb-days are lessening, and he'll just as quickly go to Daddy as to me (apart from when he's poorly of course). I'd love to know your sound stories! This post has been brought to you by Amplifon, but all words are my own - except where there are extracts from their Psychology of Sound guide. Amplifon is the world's leading dedicated hearing aid specialist. With 60 years' experience and more than 5,700 specialist centres in 20 countries, they're the world's leading dedicated hearing specialist. Interesting an informative post. Thanks Liska. Such an informative post! So cute to think of the soaps being associated with comfort and Mummy! I found his whole post thoroughly informative - thank you! It totally makes sense too!